Celebrate National Pumpkin Day with Free Pumpkin Muffins! Wednesday, October 26, 2016 is National Pumpkin Day and McDonald’s of New England is celebrating! 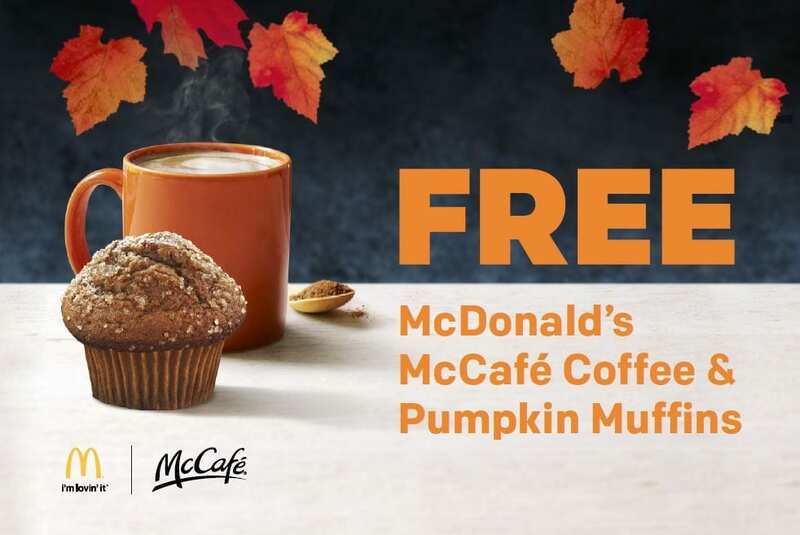 McDonald’s of New England will be providing FREE full-sized pumpkin muffin samples as well as McCafe coffee in Boston on Wednesday in honor of National Pumpkin Day! The free samples and fun will take place at Sam Adams Park near Faneuil Hall on Wednesday, 10/26/16 from 8 AM to 11 AM. The event will also include many festive fall visuals such as carved pumpkins, hay bales, a candy corn counting contest (to win free fries for a year) and more! For more information about this fun event, head over here. Will you be grabbing a free pumpkin muffin to celebrate National Pumpkin Day on Wednesday?